Liverpool Beyond the Brink is a fascinating commentary on the economic decline that caused the physical, social and political fragmentation of the imperial city during the 1970s and the efforts since then to revive and reconnect. It charts Liverpool's fall in the 1980s, its gradual normalisation in the 1990s, its staggering achievements and, as an European city in the first part of this century, its efforts to be ambitious in an age of austerity. This thought-provoking work asks: how far has Liverpool come and where does it now stand in comparison with thirty years ago and alongside other cities in the UK? What were the most important forces driving change? Who helped the most and who helped the least? Who and where gained the most and who and where gained the least? 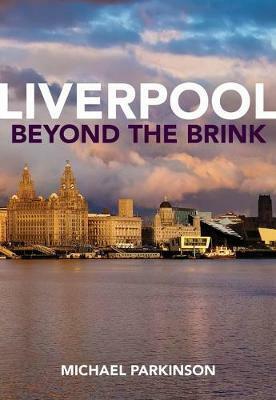 Finally, the author asks what is next for Liverpool: what are the current challenges for the city? Liverpool Beyond the Brink identifies the key economic, social and political challenges facing the city today to ensure there is increased productivity, that the benefits of the city's renaissance are experienced by all the people in Liverpool in all parts of the city. Michael Parkinson is Associate Pro Vice Chancellor for Civic Engagement University of Liverpool.